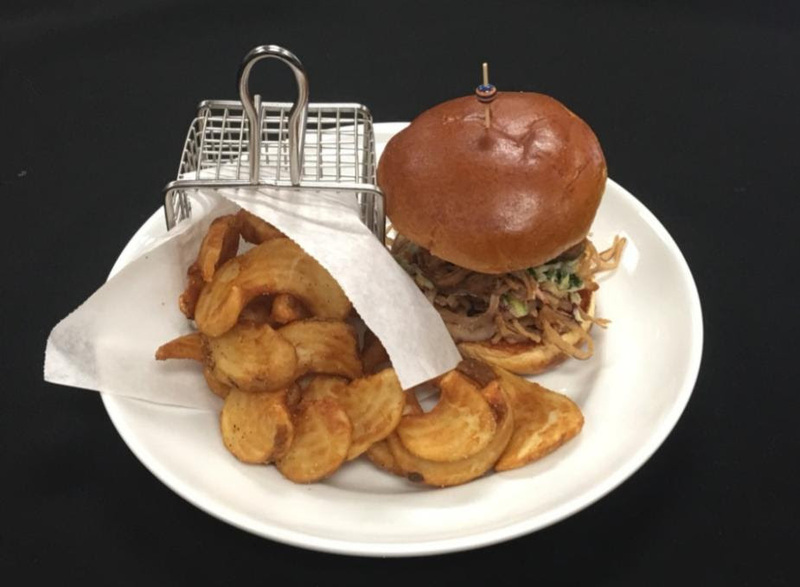 Dave & Buster’s Honolulu introduced new menu items this month, inviting football and basketball fans as well as gamers to enjoy the new offerings at a family-friendly dinner and lunch restaurant. 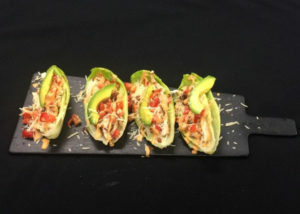 Dave & Buster’s Honolulu has added two new appetizers, a sandwich, a burger, an entree and three new cocktails. 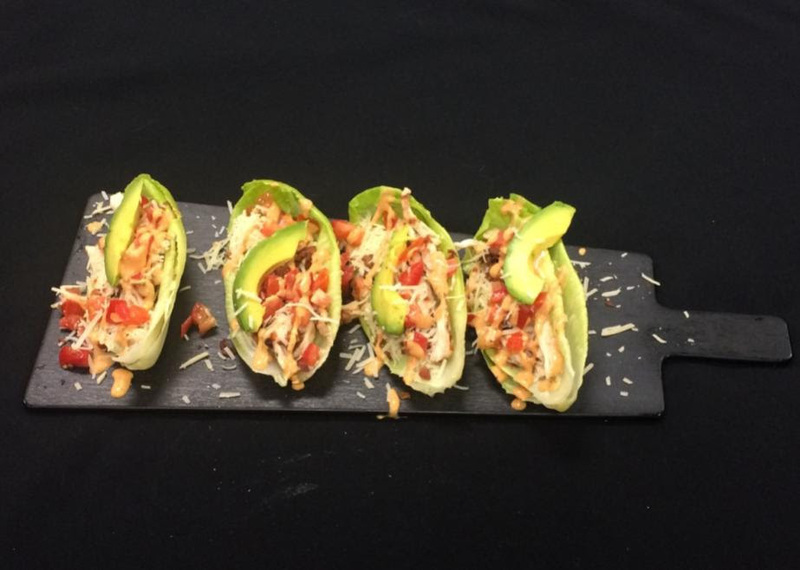 The first of the two new appetizers is the Ancho Caesar Lettuce Wraps, made with thinly sliced marinated chicken breast, shredded Parmesan, bacon, avocado, diced tomatoes and Ancho Chile Caesar dressing, all atop romaine hearts. 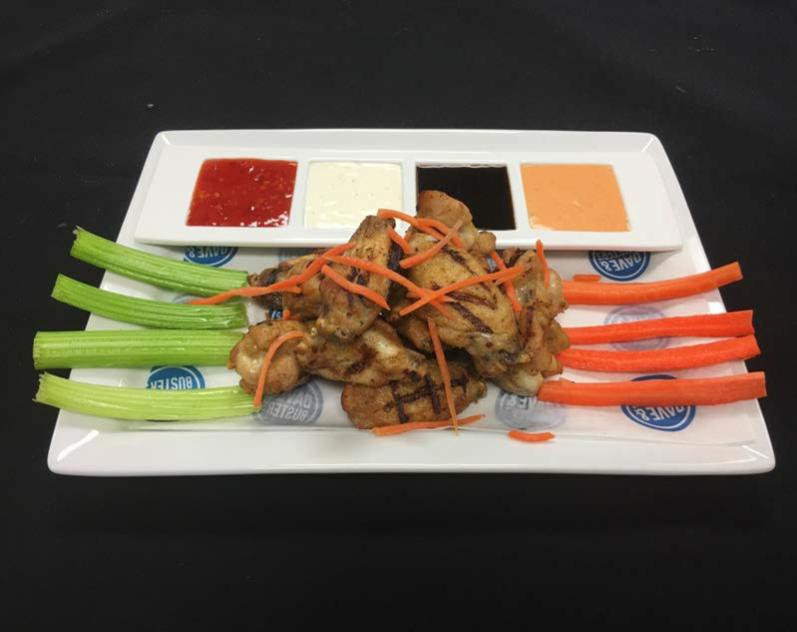 The second is Grilled Smoked Chicken Wings, made with twelve hardwood smoked chicken wings and served with four dipping sauces: buttermilk ranch, Thai chili, Sriracha honey soy and creamy Carolina Reaper hot sauce. The new Angry Orchard Hard Cider Pulled Pork Sandwich is made with slow-roasted pulled pork and cider barbecue sauce, served with fresh buttermilk ranch slaw. 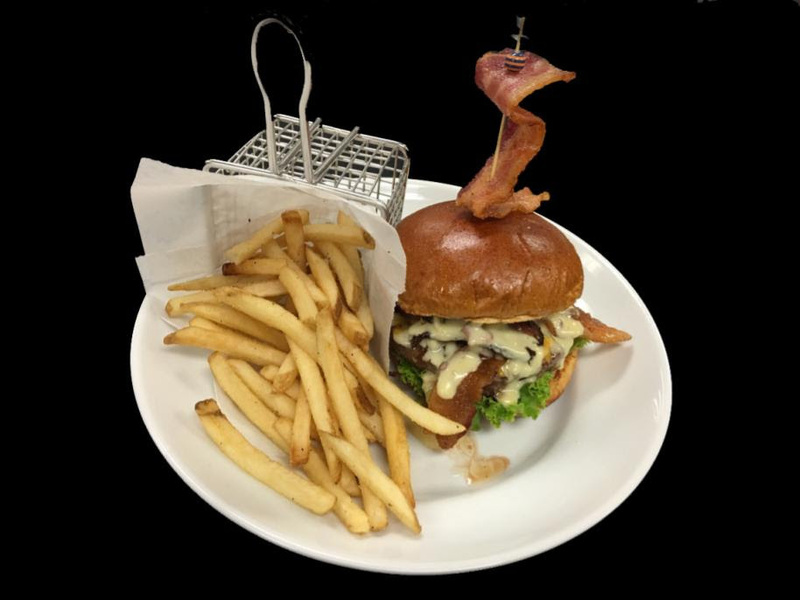 The BBBacon Burger, also new, is the ultimate take on a bacon burger, with a seared and seasoned half pound burger, applewood smoked bacon, peppered bacon pork belly and smoked Gouda sauce, served on a brioche bun with seasoned fries on the side. 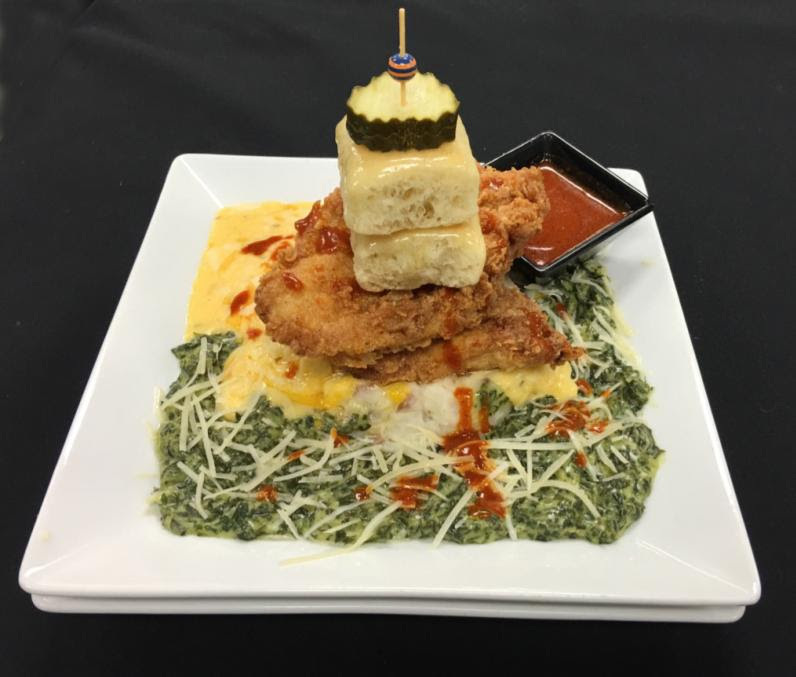 Another new entree is the Crispy Nashville-Style Hot Chicken, which includes two crispy, hand-battered chicken breasts marinated in Nashville-style hot sauce, served with parmesan creamed spinach and loaded mashed potatoes with sharp cheddar sauce. For cocktail lovers, three specially crafted drinks will be available for the first time at Dave & Buster’s Honolulu, including the Georgia Peach Smash, Wildberry Burst Smash and Mango Passion Smash. The Georgia Peach Smash is made with Crown Royal, DeKuyper Peachtree peach schnapps and fresh peach puree. The flavorful Wildberry Burst Smash is a mix of BULLEIT rye whiskey, Toorani Mixed Berry and some sweet n’ sour. Finally, the Mango Passion Smash recipe puts together Maker’s Mark, Monin and passion fruit. Dave & Buster’s Honolulu diners appreciate the fun atmosphere and drink and food menus. Sports fans can watch a variety of games and families can enjoy the arcade. Dave & Buster’s Honolulu also serves as a private party and corporate function venue. Back in the late 1970s, Buster opened a restaurant known for its tasty food and friendly service. A few doors down, Dave opened an outrageous place for entertainment and games where adults were irresistibly drawn for fun. The two young entrepreneurs noticed people rotating between their establishments, and an idea started to form: What if they put both under one roof? Dave & Buster’s Honolulu is Hawaii’s only Dave & Buster’s location, proudly serving the island of Oahu. For more information on Dave & Buster’s Honolulu, please visit www.daveandbusters.com/honolulu.